It looks great! 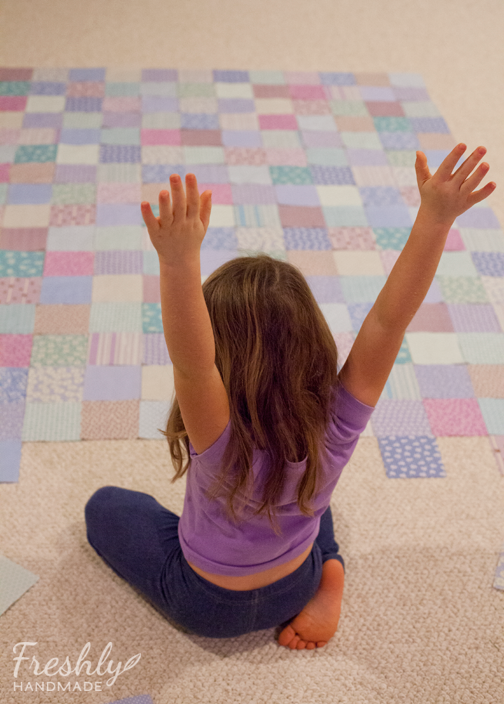 Isn't it funny how kids are so much more willing to praise their own work than we adults are? We always find fault with what we've done, but they see 'perfection'! How cute is your daughter?! And a lovely quilt top as well. :) Love when the kids get to help out. I love the soft colors you've chosen. And your daughter is adorable! Looks beautiful! I can't wait to see how the elephants look on it. Absolutely gorgeous! The colors look so sweet and soft together. I can't wait to see the finished product. 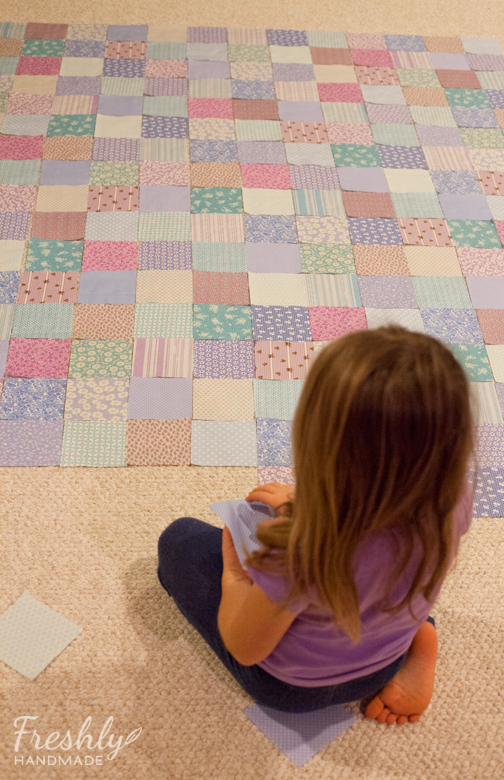 So softly and sweetly beautiful...the quilt and your helper! Hi Stacy! What an adorable little helper you have there! She's right, it does look like perfection! Those colors are so serene! Love your blog by the way! 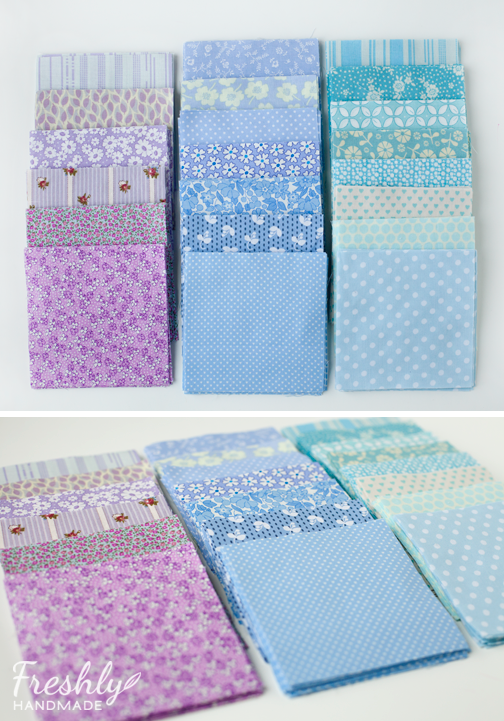 I am giving away a fat quarter bundle on my blog this week. I would love for you to stop by and enter! Happy New Year! What fun Stacy! It will be great whatever you do don't worry! 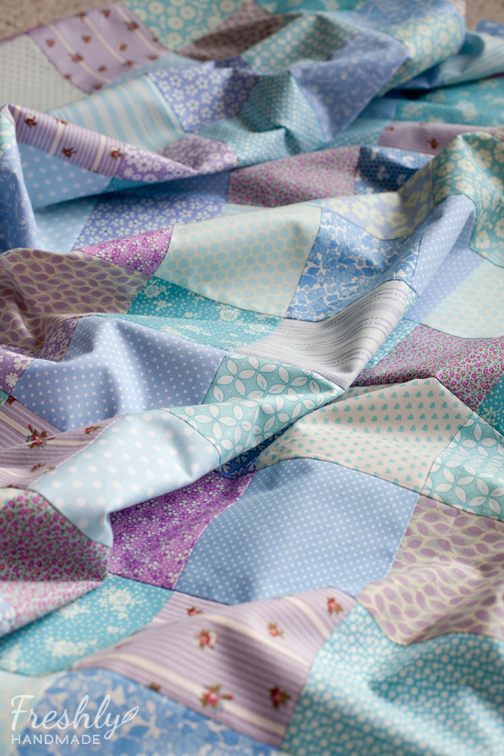 I am in love with the colors in your quilt! Your daughter is adorable and good for you for letting her help - sometimes we really do say stop stealing mommy's fun time! I may adopt her "perfection" move - we should all be so proud of ourselves from time to time!! They are such gorgeous colours! 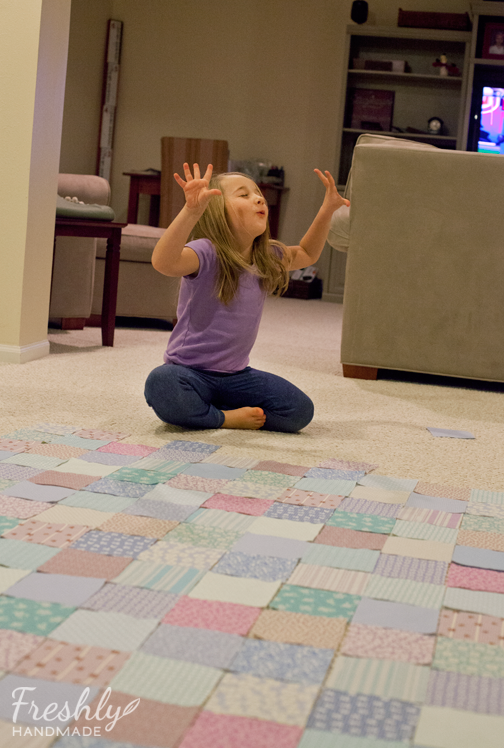 and if you ever want to share your little helper, I have a lot of blocks that need laying out ! 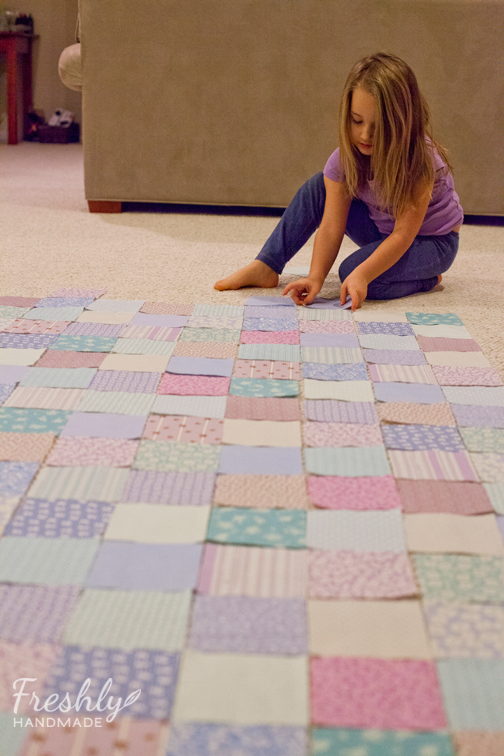 Such a sweet quilt! 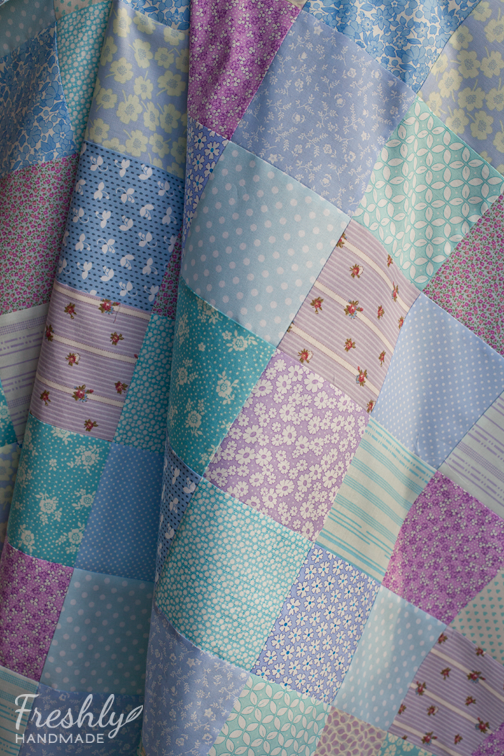 I recently made a simple patchwork quilt - similar colours just a bit more saturated. One of my all time favourites for sure!